Honey Bunches of Oats is launching a new 360-degree marketing campaign to encourage fans to rethink the classic cereal, which has two varieties – Honey Roasted and Almond – among the top 10 favorite cereals in America. The new “THIS. IS. EVERYTHING.™” campaign celebrates the multiplicity of the product, from the crispy flakes to the crunchy granola oat clusters and the sweet touch of honey, while emphasizing a bowl of Honey Bunches of Oats is greater than the sum of its parts. Multiple touchpoints are being utilized to bring the fully integrated campaign to life in order to engage consumers in person, online, offline and on multiple screens. Across all marketing levers, the work interweaves memes from social media and pop culture references to tell the brand story and allow consumers to play with and make the content their own. The campaign kicks off with new commercial spots hitting airwaves in August. Two versions of the commercial were created specifically to engage both General and Hispanic audiences. The English-language spots mash-up iconic images with current pop culture memes to relay the timelessness and multi-sensorial experience of the cereal. 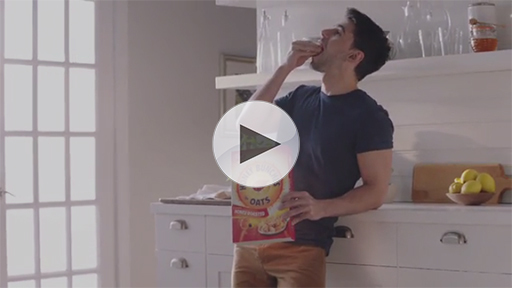 The Spanish-language spots maintain the style and tone of these ads, but use images centered on cultural nostalgia and family. The ads will air across A+E Networks, Disney, NBCUniversal, Scripps Network Interactive, Turner, Viacom, and Univision Network, amongst others, in both :15 and :30 spots. 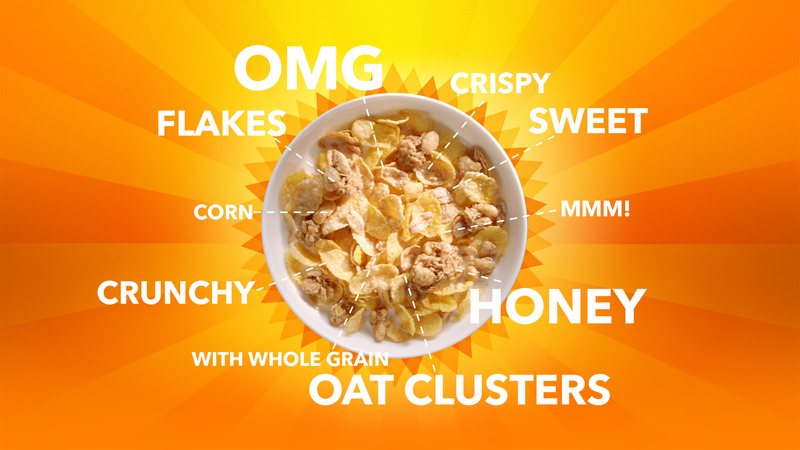 A bowl of Honey Bunches of Oats isn’t just one thing, it’s EVERYTHING. In addition to the TV spots, the campaign will come to life in digital through an experience which allows fans to star in their own “THIS. IS. EVERYTHING.™” video. Fans will be encouraged to visit www.honeybunchesthisiseverything.com and personalize the new ad with photos of themselves and their families. By creating and sharing their unique video, consumers will automatically be entered into the “Starring You!” sweepstakes. One winner will be randomly selected to win $10,000. The sweepstakes launches today, August 29, 2016, and ends October 31, 2016. “The Starring You digital sweepstakes was the perfect overlay to show our fans how they mean EVERYTHING to us, by allowing them to become a part of the commercial. 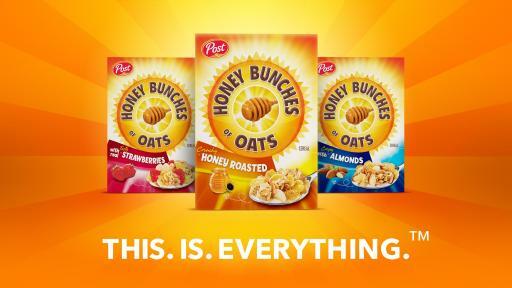 We think it’s engaging, shareable, and most importantly, a memorable way to involve our fans in the campaign,” said Julie Hewitt, Integrated Marketing Communications Manager, Honey Bunches of Oats. In addition to television and the digital and social elements, some of the multiple touchpoints that will bring the fully integrated campaign to life include a sampling tour, retailer events, media partnerships, including “Jane the Virgin” in CW primetime, and Screenvision Media (cinema) ads. “Through all our marketing levers, we’re promoting a synergistic campaign, so our fans will experience the “THIS. IS. EVERYTHING.™” message at every step of their journey,” said Hewitt. Snapchat users will even experience the “THIS. IS. EVERYTHING.™” campaign via the social platform’s newly launched Snap Ads Between Friends platform. For more Honey Bunches of Oats information, please visit www.honeybunchesofoats.com or connect with us on Facebook at www.facebook.com/honeybunchesofoats, or on Instagram and Twitter by following @HBOats. Post Consumer Brands is a business unit of Post Holdings, Inc., formed from the combination of Post Foods and MOM Brands in May 2015. Headquartered in Lakeville, Minn., Post Consumer Brands today is the third largest cereal company in the United States, with a broad portfolio spanning all segments of the category — from iconic household name brands and value ready-to-eat cereals to natural/organic and hot cereal varieties. As a company committed to high standards of quality and to our values, we are driven by one idea: To make better happen every day. For more information about our brands, visit www.postfoods.com and www.mombrands.com.